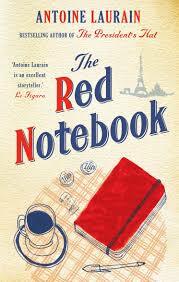 The Red Notebook is Amelie in book form, perfectly. One morning on the way to a cafe, Laurent comes across a woman’s purse sitting on top of a dumpster. He quickly realizes that it must have been stolen from the owner, and from that moment he sets out to track down and get it back to her. Since the phone and wallet were (obviously) taken from the purse, the only piece of information he has about her identity is her first name, which is a book signed by an author. A fitting clue because Laurent owns a bookstore. This book is cute, funny, real-life, and whimsical. It too has the magical essence that Amelie does, which makes me believe that the English version of this book was made great, in part, by the translator, Emily Boyce. I can’t wait to read the author’s other book, The President’s Hat!